The Washington Capitals took on the New York Rangers for a matinee game and would escape this contest with a much needed win and would regain the top spot in the Metropolitan Division. This game would not be without controversy in the shootout when Rangers goaltender Alexander Georgiev would throw his stick at an oncoming Alex Ovechkin on the latters shootout attempt. It would at first be called a no goal but then after a meeting between all four on ice officials, it would be called a goal and the Capitals would pick up the win. 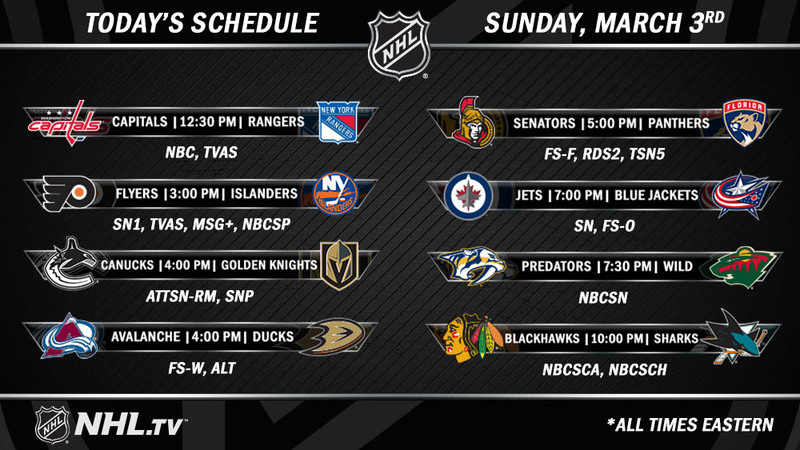 TXHT has your full coverage of the contest between the Capitals and the Rangers at the following page. There would be four different goal scorers for the Philadelphia Flyers as they would take down the New York Islanders by the score of 4-1 yesterday afternoon. The Vancouver Canucks would face off against the Vegas Golden Knights yesterday and would get crushed, losing by the score of 3-0. The Canucks would get out shot 49-19 in the contest and Vegas goaltender Marc-Andre Fleury would have his eighth shutout on the season in this contest, the most for a goaltender on the season. The Anaheim Ducks would take on the Colorado Avalanche and would get a much needed win for the Ducks. ICYMI: Rudolfs Balcers nets the game winner late in the second period and the #Sens beat the Panthers 3-2. The Winnipeg Jets would visit the Columbus Blue Jackets and would come away with the 5-2 win over Columbus thanks to four goals in the contest by Winnipeg’s Blake Wheeler. The Nashville Predators would take on the Minnesota Wild and would escape with the 3-2 win in the shootout frame. 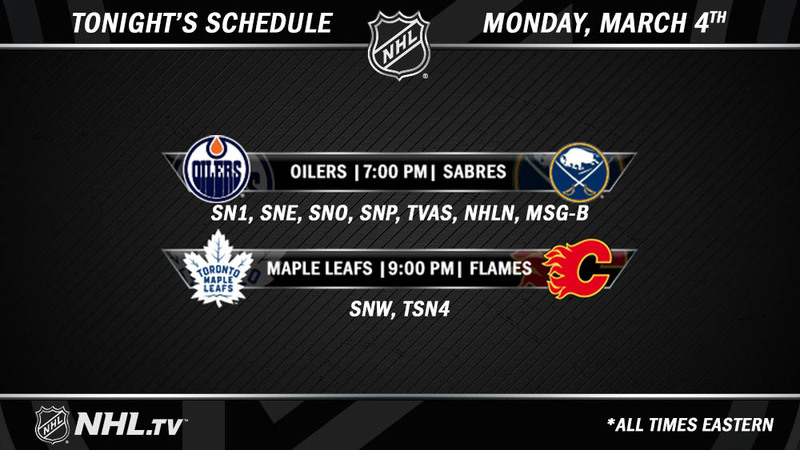 Today there are only two games on the NHL slate. Yesterday would close out the regular season for the NWHL. Two contests took place with the Minnesota Whitecaps visiting the Connecticut Whale and the Buffalo Beauts visiting the Metropolitan Riveters. First in the Minnesota Whitecaps at the Connecticut Whale game, the Minnesota Whitecaps would clinch the number one seed in the NWHL Isobel Cup playoffs with the 4-1 win over the Whale. Minnesota’s Lauren Barnes would score twice, these being the first goals of her NWHL career, and Amanda Boulier picked up two assists in the contest. Whitecaps goaltender Amanda Leveille would go on to have 24 saves on 25 attempts in the contest to seal the first regular season championship for Minnesota who continued to make history for the franchise and the NWHL. Minnesota will host the winner of the play-in game between the Connecticut Whale and the Metropolitan Riveters on Sunday at 2:30 p.m., ET/1:30 p.m., CT at the TRIA Rink. RECAP: @WhitecapsHockey claimed the regular-season title with a 4-1 win over the @CTWhale_NWHL! TXHT has your coverage of the weekends contest for the Connecticut Whale at the following page. RECAP: In an absolute thriller, the @Riveters came back from a 2-0 deficit to beat the @BuffaloBeauts, 4-3, in the shootout and earned home ice for the No. 4 vs. No. 5 play-in game! In an exciting back and forth game, the Metropolitan Riveters would come back from a 2-0 deficit to take down the Buffalo Beauts with the 4-3 win in the shootout yesterday afternoon. Throughout the second period, there would be multiple penalties between both teams and Riveters Madison Parker would be the only one to take advantage of the extra woman on the ice with Parker’s goal at the 17:41 mark. Riveters Taylor Accursi would end up netting the winner in the shootout frame to seal the win for Metropolitan and they will now host the Connecticut Whale in the play-in contest of the 2019 NWHL Isobel Cup Playoffs on Thursday night at 7 p.m., ET at the RWJBarnabas Health Hockey House. The winner of that contest will take on the Minnesota Whitecaps at TRIA Rink on Sunday at 2:30 p.m., ET. After these contests, the 2019 NWHL Isobel Cup Playoff schedule is now set. You can see the schedule at the following link.